A true Grancabrio needs a grand-scale engine – with continent- crossing capabilities and a ruthless streak, as and when you need it. Which is where the Ferrari-built 4.7-litre V8 comes in. The compact and lightweight powerplant fitted to the Grancabrio Sport, develops 460hp, with 520Nm of torque and revs to an impressive 7,500rpm. It also makes extensive use of motor sport-derived technology for race-grade resistance to high dynamic loads while maintaining exceptional refinement. 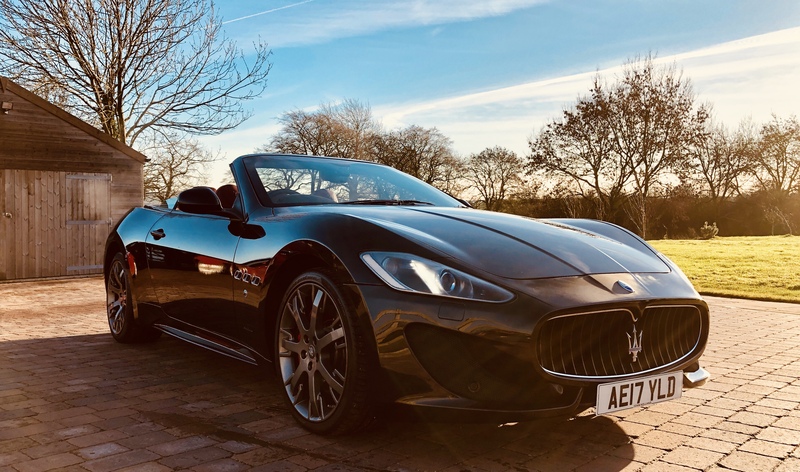 The overall result is smooth and commanding cruising power at all times, breathtaking acceleration in any situation – and a legendary sound that could only come from a naturally aspirated, Italian-built V8. The Grancabrio Sport reaches 62mph from a standing start in 5.0 seconds. and has a top speed of 179mph (288km/h). All this power finds its way to the road via a ZF six-speed MC Auto Shift gearbox. This operates in Auto-Normal, Auto-Sport, Manual-Normal, Manual-Sport and ICE modes. These offer a wide range of driving styles – from graceful comfort to hard-edged and direct. Manual-Sport mode, for instance, delivers near-seamless upshifts, plus automatic rev matching on the downshift. Not only does this smooth out the transition, the pops and burbles are also a joy to the ears of any motor sport aficionado. Picture by the owner Chris Radlett.